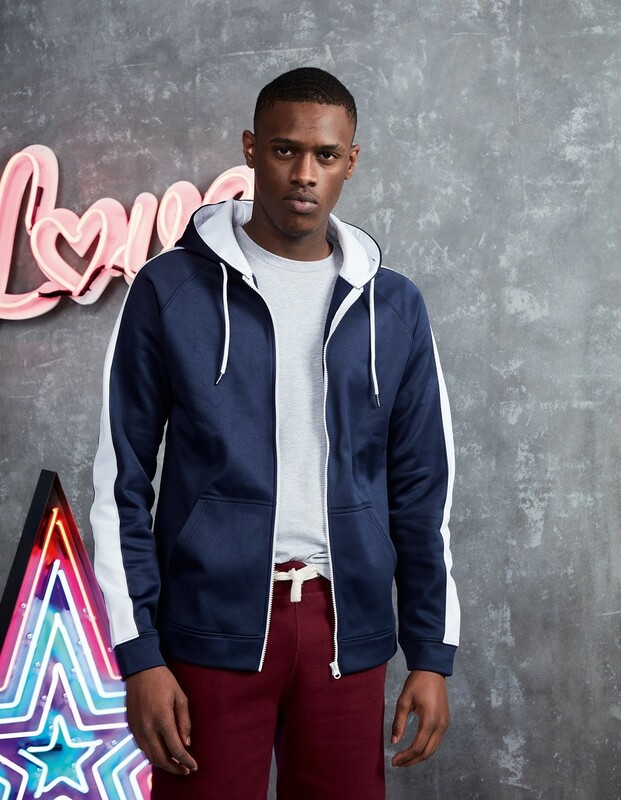 Whether you lead an active lifestyle, or you’ve jumped on the athleisure trend, this zoodie meets your needs. The 100% polyester fabric and relatively lightweight feel makes this great as an extra layer for training. 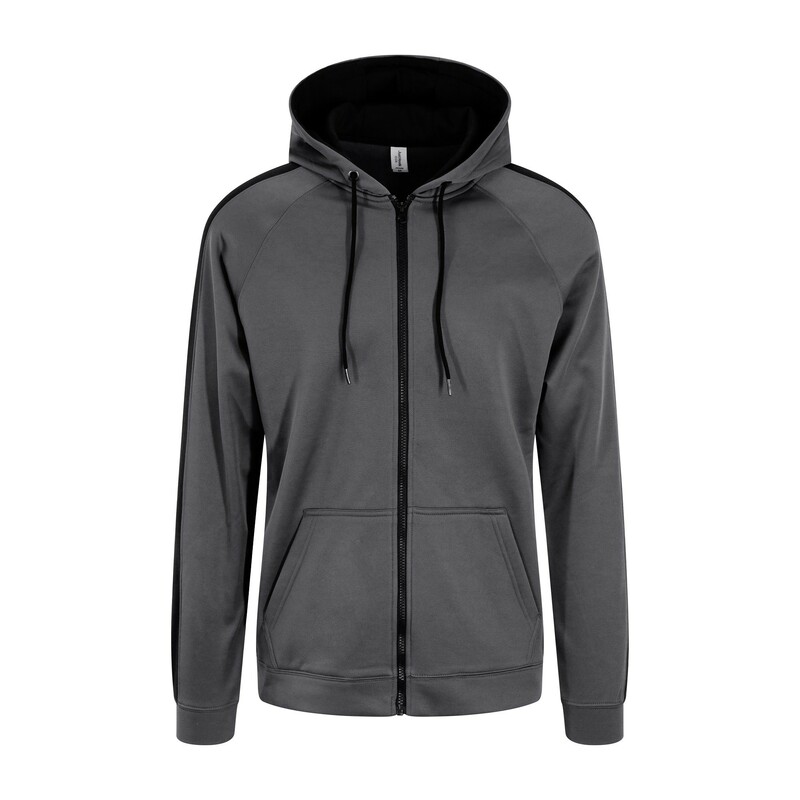 The hidden earphone loops and pocket opening for a cord, means you will have no trouble zoning out for extra focus. 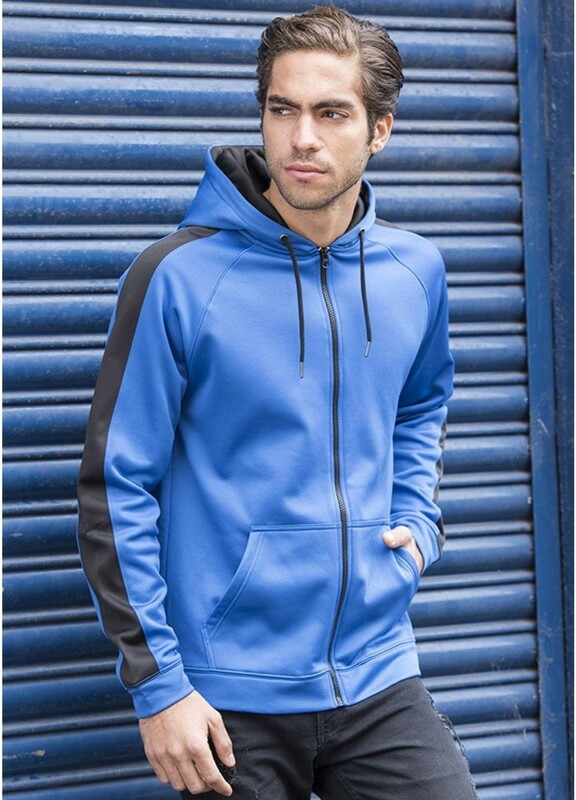 This zoodie is also perfect for everyday casual wear as it features a full contrast zip, split kangaroo pocket and three panel hood. 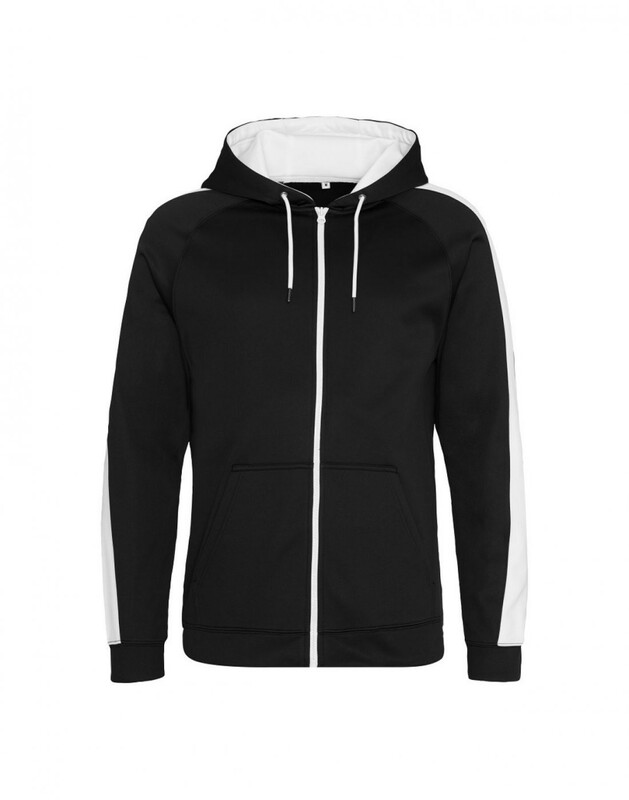 The sporty fit, Raglan contrast panel sleeves and contrast drawcords also give the zoodie a contemporary look. It’s also super easy to rebrand as there’s a simple tear out label. 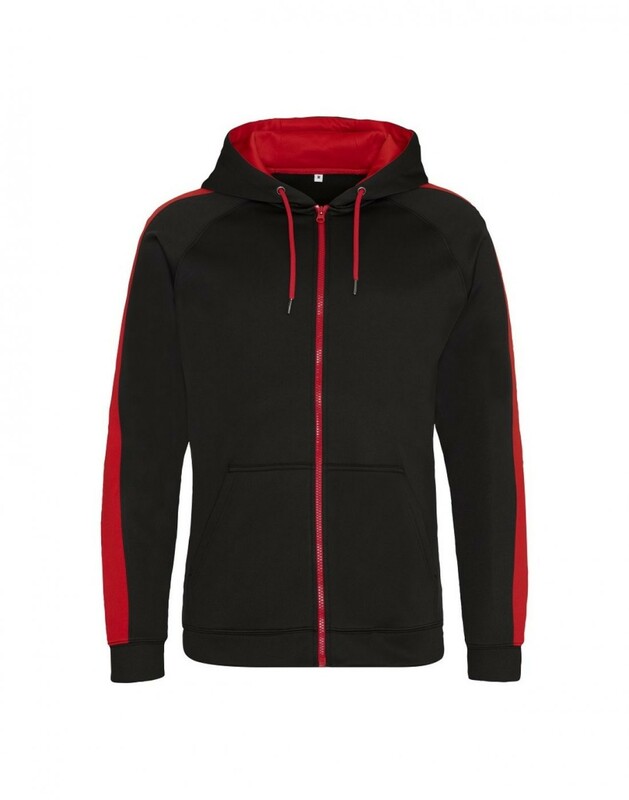 Whether you’re wanting to kit out your team, update your wardrobe or brand your own sports wear, we’ve got your back. 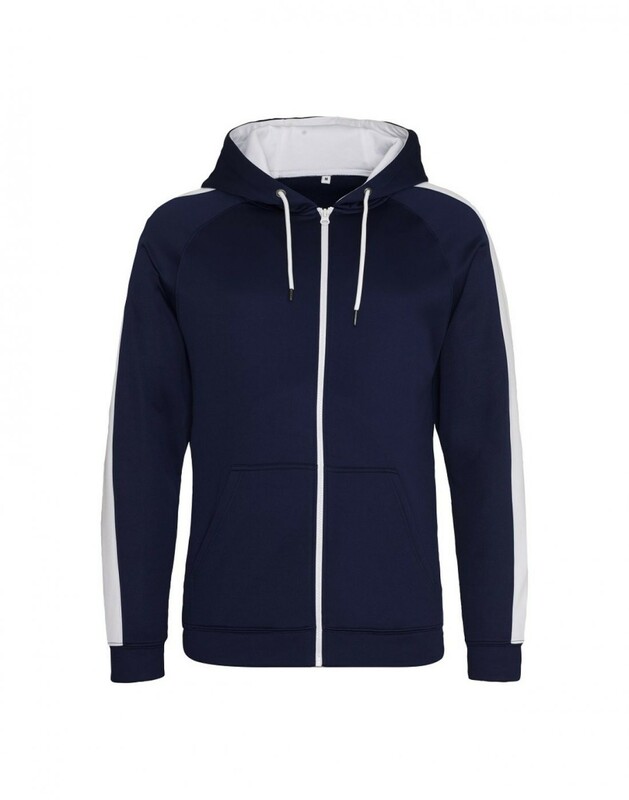 This zoodie is great for print or embroidery so the choice is yours.